The beloved masterpiece comes to life December 9th. Prepare to enter another world when Walt Disney Pictures and Walden Media present C.S. Lewis timeless and beloved adventure. With the stunningly realistic special effects, you'll experience the exploits of Lucy, Edmund, Susan and Peter, four siblings who find the world of Narnia through a magical wardrobe while playing a game of hide-and-seek at the country estate of a mysterious professor. Once there, the children discover a charming, once peaceful land inhabited by talking beasts, dwarfs, fauns, centaurs and giants that has been turned into a world of eternal winter by the evil White Witch, Jadis. Aided by the wise and magnificent lion Aslan, the children lead Narnia into a spectacular, climactic battle to be free of the Witch's glacial powers forever! $65.556 million on -unknown- screens. It’s official: fantasy films no longer fizzle at the box office - at least not if they’re based on enormously popular book series. 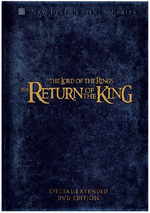 The Lord of the Rings trilogy established that movies of this sort could earn huge money, and that trend continued with 2005’s The Chronicles of Narnia: The Lion, the Witch and the Wardrobe. We’ll have to wait until 2007’s The Chronicles of Narnia: Prince Caspian to see if the series continues its profitable ways. For now the first flick goes down as a financially impressive one. I’m not quite as sure that it stands as a remarkable movie, however. Narnia takes place in England during the Second World War. German bombing of London means that families need to send their kids out of town for their safety. Because of this, the four Pevensie children – teens Peter (William Moseley) and Susan (Anna Popplewell), pubescent Edmund (Skandar Keynes) and little Lucy (Georgie Henley) – wind up in the country at the estate of Professor Kirke (Jim Broadbent). During a game of hide and seek, Lucy finds a large wardrobe. When she uses it as her hiding place, she finds it acts as a portal to another world called Narnia. This wintery location introduces her to a faun named Mr. Tumnus (James McAvoy). They become friends, though Tumnus shows some ulterior motives: he plans to kidnap her. However, his conscience gets the best of him and he lets Lucy return home. When she tells the other kids about her experience, they find no evidence that the wardrobe allows entrance to anywhere. Before long, she goes in again and Edmund follows her. They make it back to Narnia where they separate. Edmund meets Jadis, the White Witch (Tilda Swinton). She claims to be the queen of Narnia and promises him many rewards if he lures the rest of his siblings back to the realm. Eventually this happens and we learn more about Narnia. It turns out the Tumnus almost kidnapped Lucy due to the Witch’s decree that any humans in Narnia need to come to her to be killed. We find out that a prophecy states four humans will eventually arrive in Narnia and overturn the period of evil – ie, Jadis’ eternal winter. The movie follows the kids’ roles in this and various complications. Much has been made of the Christian overtones of Narnia. The movie makes many obvious allusions to the story of Christ, but it doesn’t beat us over the head with these. They’re there if you want to find them, but they won’t distract if you want to take the film as a basic fantasy story. Which is probably the best way to view it, since there’s not a lot of depth to the flick’s references. Actually, I don’t think Narnia has a lot going for it period. While it provides a reasonably entertaining experience, I don’t feel it ever becomes anything particularly memorable or impressive. Does Narnia suffer from any serious problems? Not really. I’d pick on the computer animation as arguably the film’s weakest link. Narnia features many talking animals, and these elements only sporadically succeed. Aslan fares best, probably because he likely received the most attention; the film relies more strongly on our investment in him than in any of the other animal characters. Once we get beyond Aslan, though, the animation seems decidedly spotty. Characters like Mr. and Mrs. Beaver and Fox look like they’d be more at home in Shrek than in the photorealistic world of Narnia. They never become remotely convincing, and the visuals of the climactic battle offer some badly distracting elements as well. They don’t totally take me out of the movie, but they cause problems. I find it tough not to compare Narnia to the Lord of the Rings series. Whether or not this is fair seems debatable, but too many similarities occur for Narnia not to evoke memories of Rings. Unfortunately for Narnia, it pales in comparison. Narnia seems like a less rich world. Some of that seems inevitable, as three films of Rings offers much better room for development than less than two and a half hours of Narnia. That said, even if we simply compare Narnia to the first Rings flick, the latter is much better realized. The characters, settings and events all present greater force and definition than anything we see here. Narnia often comes across as Rings lite. These aren’t fatal flaws, but they mean the movie doesn’t boast a great impact. Rings stayed with the viewer after it ended, while Narnia seems to fade almost immediately. Does Narnia boast any particular strengths? Not really. The actors stand as pretty positive, I will admit. All four kids fill their roles well, and they offer consistently good work. Henley manages to be cute and charming without too many cloying or sugary tendencies, while Keynes makes Edmund appropriately abrasive and dark. He also avoids the usual pitfalls, as he keeps Edmund edgy and doesn’t temper the boy’s sullen side with artificial cheer. Because of that, Edmund feels real and not like a one-dimensional movie kid. Moseley and Popplewell seem satisfying in their parts, though neither becomes terribly memorable. All hold their own against the more accomplished adult actors, though. In regard to those participants, Swinton proves especially memorable. She clearly relishes her chance to play such a juicy role, and she digs into the part with gusto. Swinton manages to evoke all the seductive sweetness of the Witch along with her cruel darkness. Swinton turns out to be one of the best parts of the movie. Though I think it’s lightweight, I will acknowledge that Narnia remains plenty entertaining. It can drag a bit at times, but the movie usually moves swiftly enough to maintain interest. The world of Narnia presents so much fanciful material that it becomes almost impossible to resist. Around every corner we find an interesting situation. While little of this comes across as particularly clever or memorable, it ensures that the film takes us along with it. This combination of minor strengths and moderate problems means that Narnia proves enjoyable but not noteworthy. I think of it as decent entertainment without much staying power. 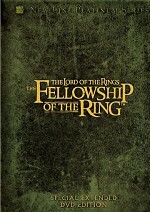 It lacks the depth and dimensionality of The Lord of the Rings, but that doesn’t make it a bad film. This is a simple but reasonably pleasant experience. Note that this package includes an “Extended Edition” of Narnia. This 150-minute version adds about seven minutes to the theatrical cut. Though this was my third screening of the film, I found it pretty tough to discern the added material. I detected some minor character bits; for instance, on the train ride out of London, Lucy gives a stuffed dog to Edmund. I also noticed extra battle footage. Little of the new elements stood out, so don’t expect the extended Narnia to truly differ from the theatrical cut. Both offer the same strengths and weaknesses. 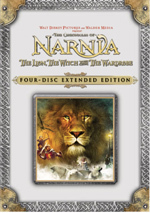 The Chronicles of Narnia: The Lion, the Witch and the Wardrobe appears in an aspect ratio of approximately 2.35:1 on this single-sided, double-layered DVD; the image has been enhanced for 16X9 televisions. Very few concerns emerged during this strong transfer. My only minor complaints related to shadow detail. While blacks came across as deep and tight, low-light shots tended to be a trifle too dense. I found these to seem slightly tough to discern, though not badly so. Dark scenes were acceptably visible for the most part; they just appeared a bit thick. Otherwise, I found no room to gripe. Colors were consistently positive. The movie’s first parts went with a restricted palette to reflect the gloominess of war-torn England as well as the extended winter in Narnia. Once spring came to Narnia, the tones brightened considerably. Whatever the setting, the movie featured hues that were appropriately full and dynamic. Sharpness appeared excellent. At all times, the movie exhibited terrific definition and clarity. No issues with jagged edges or shimmering emerged, and I noticed no signs of edge enhancement. Print flaws were completely absent. Overall, the movie looked very good. Similar praise fell upon the audio of Narnia. The DVD boasted both Dolby Digital 5.1 and DTS 5.1 soundtracks. Though the DTS mix seemed slightly more robust, I didn’t detect any significant differences. Most of the time the pair seemed very similar. And that was a good thing. Audio quality always appeared excellent. Effects showed fine delineation and accuracy, and they also offered terrific bass response. Low-end provided great depth and bite. Music was similarly full and dynamic, as the score presented nice warmth as well. Speech sounded natural and concise. The soundfield used the movie’s action scenes to bring it to life. Quieter sequences had their moments as well, as pieces like a train and general atmosphere showed nice breadth and definition. However, it was the climactic battle and other showcase bits that brought the soundtrack to “A-“ level. These contributed a lot of useful material from all five speakers and tied the pieces together smoothly. The information moved cleanly and provided strong localization. Both soundtracks were consistently positive. How did the picture and audio of this Extended Edition compare to those of the prior theatrical cut DVD? I thought both seemed identical, as I noticed no variations between the two. While the original two-DVD release of Narnia came chock full of extras, this deluxe four-disc set goes even more hog-wild. Discs One and Two repeat all the features from the prior release, so if you’re only concerned with new supplements, head down to the discussion of Discs Three and Four; that’s where you’ll find all this version’s exclusives. Actually, one new element appears on this disc: an introduction from director Andrew Adamson. In this 23-second piece, Adamson acts as a welcome and nothing more. Next we find two separate audio commentaries. The first includes director Adamson and actors William Moseley, Anna Popplewell, Skandar Keynes and Georgie Henley. All five sit together for a running, screen-specific piece. I admit I didn’t look forward to this commentary, as I’ve not found much value in similar tracks with child actors. They tend to be chaotic and not very informative. Happily, this one was much more successful than I expected. Adamson tosses in some details about production elements like sets, effects and changes from the novel to the screen. However, issues specifically related to the kids dominate. We learn a lot about how Adamson got them to produce the necessary performances, and the actors provide many stories about their experiences. They chat about the challenges of dealing with such an effects-intensive setting and other aspects of the shoot. Occasionally the kids talk over each other – young Henley is the most impulsive - but the commentary remains surprisingly coherent and organized. Even Henley’s energetic asides seem charming instead of distracting. Though a little dead air slows things down at times, mostly we find a lively and informative discussion. The participants mesh well to make sure we get a good feel for their experiences in this enjoyable and informative track. For the second commentary, we hear from Adamson, production designer Roger Ford, and producer Mark Johnson. For this running, screen-specific piece, Johnson and Adamson sit together while Ford joins them from Australia via telephone. Their conversation covers sets and locations, effects and various visual challenges such as animatronics, costumes and props, story issues, casting and characters, and general production information. While drier than the first commentary, this one proves equally informative. Some redundant material appears, especially when Adamson discusses the child actors. However, the more technical focus makes the track generally fresh. It goes through the appropriate topics in such a way to become enjoyable and useful. The Bloopers of Narnia runs four minutes and 35 seconds. This presents a pretty standard blooper reel. We get goof-ups and silliness, so don’t expect anything unusual. It is fun to see some of the shots before the addition of effects, though. A trivia track appears as well. Called Discover Narnia Fun Facts, this piece throws tidbits onscreen throughout the movie. Written by co-producer Douglas Gresham, we get factoids that tell us about author CS Lewis and the novels, background elements related to England in the WWII era, and other factual nuggets. These pop up rather infrequently and tend to stick with basic notes. They seem mildly interesting but not worth much effort to watch. Disc One opens with some ads. We get promos for Peter Pan, Meet the Robinsons, and Disney’s Blu-Ray releases. These also appear in the DVD’s Sneak Peeks area. As we move to DVD Two, the extras split into two areas. Creating Narnia opens with a documentary called Chronicles of a Director. This 37-minute and 46-second piece mixes movie clips, behind the scenes materials with interviews. We hear from Adamson, Johnson, Ford, Moseley, Henley, Keynes, executive producer Perry Moore, Walden Media CEO Cary Granat, costume designer Isis Mussenden, editor Sim Evan-Jones, director of photography Donald M. McAlpine, creature and visual concept designer Richard Taylor, special makeup and creature designer Howard Berger, visual effects supervisor Dean Wright, Rhythm and Hues visual effects supervisor Bill Westenhofer, visual effects producer Randall Starr, Sony Imageworks visual effects producer John Clinton, and actors Tilda Swinton and James McAvoy. The show traces how Adamson got the gig as director and then shows his work on the film. We watch his initial preparation and approach to the story, visual and character elements, casting and working with the actors, creature, weapon, and prop design, digital effects, and shooting in New Zealand and sets. The title of “Chronicles” seems a little misleading, as it implies the program will focus on Adamson’s experiences. That’s not the case, as it presents a pretty broad overview of the production. And a good one at that, as it touches on most of the important factors. We get a good feel for the various elements, and the many excellent behind the scenes bits certainly help. We see a lot of fine material such as Aslan test footage and other preparatory materials. “Chronicles” stands as a fine documentary. In the 26-minute and 23-second The Children’s Magical Journey, we find comments from Henley, Moseley, Keynes, Adamson, Popplewell and McAvoy, As implied by the title, “Journey” focuses on the experiences of the child actors. We hear about their casting and relationships with each other, shooting in New Zealand, training and rehearsals, the kids’ costumes, and general stories from the set. Once again, footage from the shoot serves as the highlight of this show. We discover many nice clips that demonstrate the reality of the production. Things feel a little fluffy and chipper, but I expect that from a program focused on kids. The piece remains breezy and enjoyable. “Creating Narnia” ends with four components under the domain of “Evolution of an Epic”. These start with a featurette called From One Man’s Mind. The three-minute and 57-second piece offers a simple overview of the life and career of author CS Lewis. We get basics about those areas along with some notes related to the creation of Narnia. If you watched the text commentary, you’ll already know most of this, but the featurette serves to provide a passable summary. In Cinematic Storytellers, we focus on the filmmakers. All together, these eight pieces last a total of 55 minutes and five seconds. They concentrate on Weta Workshop’s Richard Taylor, KNB Creature Shop’s Howard Berger, costume designer Isis Mussenden, production designer Roger Ford, director of photography Don McAlpine, editor Sim Evan-Jones, composer Harry Gregson-Williams, and producer Mark Johnson. Each featurette includes remarks solely from the filmmaker under examination. They cover general and specific experiences during Narnia as well as some impressions of their overall careers. I like the way these pieces emphasize the work of the different specialists, and they give us a nice overview of their jobs and duties. The 11 elements of Creating Creatures occupy a total of 53 minutes and 30 seconds. These examine the White Witch, Aslan, Tumnus, the wolves, centaurs, minotaurs, ankle slicers, Ginarrbrik, the beavers, satyrs and goblins. Across the 11 clips, we hear from Andrew Adamson, actors Tilda Swinton, James McAvoy, Patrick Kake, Kiran Shah, Skandar Keynes, Georgie Henley, William Moseley, Ray Winstone, Dawn French, Shane Rangi and Eoin Walsh, costume designer Isis Mussenden, visual effects producer Randall Starr, Creature Effects Inc. crew Jeanne Vosloo, special makeup and creature designer Howard Berger, visual effects supervisor Dean Wright, Rhythm and Hues creature development supervisor Will Telford, Aslan character lead animator Greg Steele, visual effects supervisor Bill Westenhofer, Sony Imageworks animation supervisor Dave Schaub, Sony Imageworks character animator Kelly Hartigan Goldstein, Sony Imageworks digital effects supervisor David A. Smith, animal supervisor Sled Reynolds, creature and visual concept designer Richard Taylor, Weta Workshop design supervisor Ben Wooten, Weta Workshop designer/sculptors Greg Tozer and Christian Pearce, Rhythm and Hues animation supervisor Richie Baneham, Sony Imageworks character animation lead Jeff Schu and fabrication department supervisor Beth Hathaway. The pieces examine the visual design of the characters and the execution of these ideas. These cover areas like costumes, makeup and wigs, computer animation, animatronics, working with real animals, and performance issues. All of these add up to a terrific examination of the creatures and characters. We learn many nice nuances of what the parts required and cover all the appropriate details. This is a nice collection of featurettes. For the last part of “Evolution”, we find Anatomy of a Scene: The Melting River. This 11-minute and 31-second featurette presents notes from Wright, Ford, Moseley, Henley, Popplewell, Starr, Sony Imageworks CG supervisor R. Stirling Duguid, and Andrew Adamson’s executive assistant Alina Phelan. We look at the miniature and full-size sets as well as various aspects of the shoot. “River” dissects the various elements well. It digs into them with more of the usual fine material from the set and plenty of insightful comments to reveal how they created this sequence. Heading over to Creatures, Lands & Legends, Creatures of the World goes for 14 minutes and 16 seconds. This looks at 11 of the movie’s characters, all of whom we saw in “Creating Creatures”. However, this set offers a different emphasis. It offers quotes from the Narnia novel that describe the characters. We hear these as we look at character art. It provides a nice way to learn a little more about the creatures as designed by Lewis. An interactive map appears via Explore Narnia. This functions the same way as “Creatures of the World” as it takes us through Narnia locations. 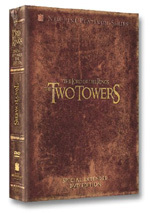 We go to “White Witch’s Castle”, “Cair Paravel”, “The Lantern Waste”, “Battlefield”, and “The Stone Table”. It offers a decent look at the different spots. Disc Two ends with Legends In Time. This lets us “navigate through this timeline for a unique journey through the years and relive the highlights of how these memorable events unfolded”. This allows us to follow the chronology of events in the movie as well as what happens after the conclusion of the film’s story. I like the expansion of information in that way, and this turns out to be a fun extra. Thus we finish with all the components already found on the prior Narnia DVD. As we move to Disc Three, we hit the new materials. Only one component appears on this platter: a full-length documentary called CS Lewis: The Dreamer of Narnia. This one-hour, 15-minute and 39-second program offers comments from Gresham, Companion to Narnia author Paul Ford, University of Ulster Head of the School of Language and Literature Professor John Gillespie, rector of St. Mark’s Church in Belfast Reverend John McDowell, vicar of Holy Trinity Church in Oxford Tom Honey, literary advisor Walter Hooper, authors Greg Spencer and Ray Bradbury, actor Sir Ben Kingsley, Field Guide to Narnia author Colin Duriez, Harper Collins executive editor Antonia Markiet, CS Lewis Foundation president Dr. J. Stanley Mattson, cab driver Peter Cousin, University of Cambridge Chaplain of Peterhouse Reverend Dr. Michael Ward, former member of Parliament David Bleakley, artist Ross Wilson, Lewis’ former student Rosamund Whalley, and Lewis’ wife Joy Davidman’s friend Bel Kaufman. As expected, “Dreamer” gives us a biography of Lewis and looks at his work. “Dreamer” uses a rather fanciful construction, as much of the information comes from a narrator acting as Lewis. We also get many goofy animations to illustrate various concepts. We do see lots of footage that shows locations important in Lewis’ life, though, so those help. We also find more interpretation and introspection than usual as well, elements that provide nice detail about the influences on Lewis’ work. It takes a while to get into the show’s unusual format, but this one conveys the details well and fleshes out our understanding of the author. With that we hit the three pieces on Disc Four. Visualizing The Lion, The Witch and The Wardrobe runs two hours, 20 minutes and 12 seconds. Producer Mark Johnson introduces the show, and then we get notes from Adamson, Ford, Mussenden, Johnson, Moore, McAlpine, Evan-Jones, Henley, Wright, Starr, McAvoy, Gresham, Gregson-Williams, Keynes, Swinton, Berger, Taylor, Popplewell, Moseley, Schaub, Winstone, French, Shah, Smith, Westenhofer, Telford, Baneham, Granat, set decorator Kerrie Brown, character animation lead Patrick Osborne, creature development supervisor Jeff White, animation supervisor Jenn Emberly, associate visual effects supervisor Lindy de Quattro, actors Sophie Winkleman and Jim Broadbent, Massive supervisor Dan Smiczek, Massive Software founder Stephen Regelous, and workshop supervisor Jason Docherty. “Visualizing” features an unusual format for a documentary. It follows the movie and comments on aspects of the flick as we see them. Essentially we watch the entire film, as the show maintains a look at the final production at almost all times. We also see behind the scenes footage, storyboards, pre-vis shots, concept art, pre-effects photography, and other background elements. As one might expect from the title, the program focuses on visual elements, though plenty of other concepts emerge as well. We learn about sets and props, various effects, costumes and makeup, locations, vehicles, research and accuracy, casting and challenges dealing with child actors, characters and performances, cinematography, color design and lighting, editing, music, how Adamson got the gig, animation and CG characters, fight choreography, and a mix of other subjects. In a package crammed with excellent components, “Visualizing” may be the best. I really like the unconventional format and think that the show covers a lot of territory in a concise and logical manner. This set could have included no extras other than “Visualizing” and it would’ve earned my recommendation; this is a terrific documentary. Similar to the featurette created for “The Melting River”, Anatomy of a Scene: Behind the Battle lasts seven minutes, 47 seconds and includes remarks from Adamson, Johnson, Wright, Baneham, Starr, and Smiczek. Shots from the set dominate here as we hear about the sequence’s logistics, effects, practical elements and scope. It’s another useful and informative piece. The package comes to a close with the Art of Narnia Gallery. This breaks into three sections of still frames. We get “Concept Art” (91 images), “Landscapes” (35), and “Maquettes” (53). Cumulatively, these give us a nice glimpse of the planning that went into the film. At no time does The Chronicles of Narnia: The Lion, the Witch and the Wardrobe threaten to become a truly memorable movie. However, at no point does it bore or leave the audience without something fairly interesting to watch. It ain’t a classic, but it offers reasonable entertainment. The DVD features very strong picture and audio along with a tremendously broad and engaging roster of extras. This is a terrific DVD for a moderately enjoyable film. I don’t think I like Narnia enough to recommend it as a “blind buy”, but fans will clearly delight in this high-quality package – if they didn’t already delight in the already-excellent two-DVD release from the spring of 2006. If you own neither, I’d push you toward this four-disc set, as it’s the superior version. Fans who already own the original package will want to upgrade only if they’re really interested in the marginally different longer cut of the film and/or they love supplements. This edition comes with two full discs of new materials, all of which are very strong. This is unquestionably the superior Narnia DVD.